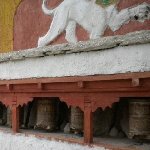 More you travel to the north more dramatic and magical the scenery gets and then after passing all those hours, there it is, the beautiful Lamayuru Monastery right on the Srinagar - Kargil - Leh road. 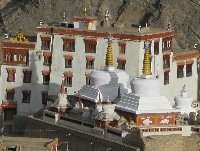 This monastery is probably the most important landmark and tourist attraction in Ladakh and is built in a beautiful setting between the Great Himalayas and the Kulun Mountain Range. 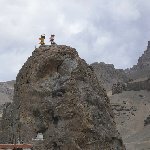 Heading toward Leh, the capital city of the Ladakh Region, we also encountered the Chamba Statue of Mulbekh. 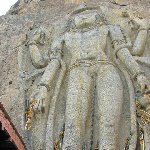 This statue pictures a tall Buddha and is completely carved out of the rocks. Nearby you'll also find a small temple you can visit. 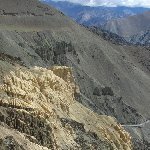 Did you enjoy Trip to Ladakh India and have you been on a holiday in Leh, India?